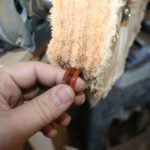 Wood finishing can be a little tough to learn as a new woodworker, mainly because there is just so much information out there. Thankfully, there are easy ways to learn wood finishing without spending a lot of time. This guide will show you just that, and you will be finishing your projects with confidence in no time. 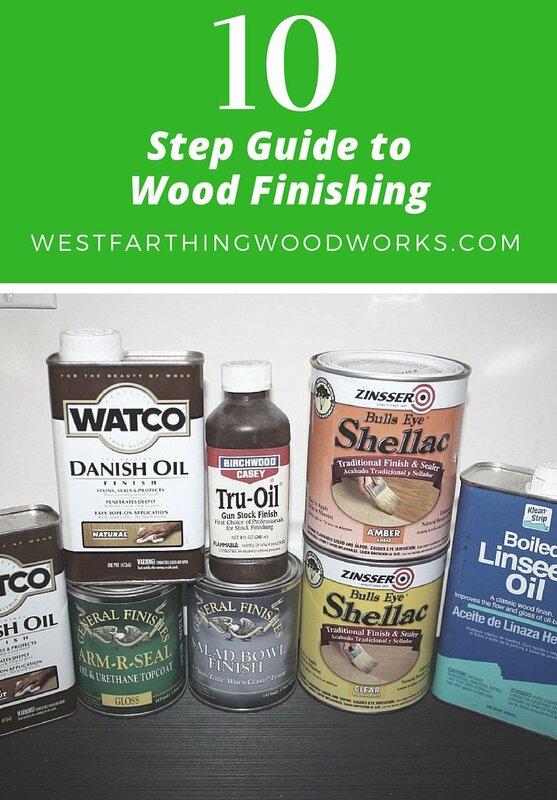 The 10 Step Guide to Wood Finishing is a free PDF guide, and it shows how to select a finish, prepare the surface, apply the finish, and several tips and tricks that make the process easier. This free guide is 25 pages long, and loaded with great information, helpful images, and should make an excellent finisher out of anyone. 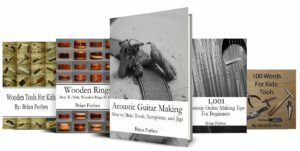 I hope you enjoy it, and I hope it helps you learn many of the secrets to applying a great finish. Wood finishing is not difficult. The beginning does require a little learning, but you can become good fairly quickly. There are many finishes out there, so you can take a lifetime learning them all if you want to. However, if you are in need of a good finish that is easy to apply, my PDF will help. Finishing only has to be as difficult as you want it to be. Thankfully, a guide like this can show you the easy way to apply a great looking finish. 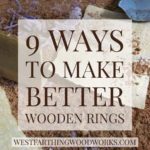 My 10 Step Guide To Wood Finishing is a tremendous start for any beginning wood finisher. It will get you started on the right foot, and you will learn quickly. 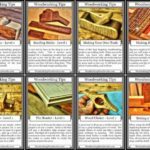 The PDF is free for you to enjoy, and free for you to share with others who also need some wood finishing help. There are a couple things you can do to make the reading experience better when you are on a regular computer. I designed this guide to look like a book. The ideas is that you can see both the left and right pages at the same time, just when you are reading. IMPORTANT: This booklet looks best when downloaded and viewed in Acrobat. When the file opens, hover over the bottom center of the screen, and click on the Disc (Save) icon. This PDF is meant to be viewed in a book layout, and to make Adobe Acrobat Reader do this is a simple two step process. With the document open, click on View, move down to Page Display, then go over and select Two Page View. After that, click on View again, move down to Page Display, and select Show Cover Page In Two Page View. This makes the file look more like a book rather than a college term paper, which is the intent. After you read this wood finishing guide, and save it to your computer so you will always have it, you need to start with one thing. 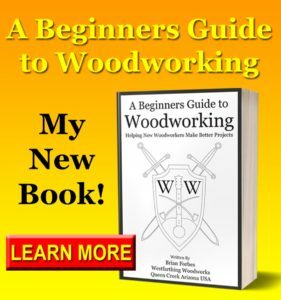 Go to your local woodworking store and pick out one finish from the book. When you get back into your shop, start practicing with that finish. It’s very important that you buy only one finish at this point. You are still a beginner, and that’s ok. Embrace it, and start with all of your focus on that one finish. Make it your personal mission to learn everything you can about that one finish. Apply it carefully, following the directions, and watch what happens. Don’t rush, and don’t worry about it. Nothing you do in practice mode counts, so just enjoy the learning process. After you have worked with that finish for a while, and you become fairly good, then you can think about branching out into others. Until then, take this time to become an expert at this one finish. You will be happy that you did. If you are looking for the easiest finish you can possibly begin with, but that also still looks great and protects, then Tru-Oil is you product. I’ve used gallons of the stuff over the years, and it’s been great for many different projects. Tru-Oil is a gun stock finish. If it’s good enough for beautiful figured walnut rifle stocks, then it’s good enough for your project as well. It’s also very inexpensive, and you can find it all over the place. Walmart even has it sometimes in the outdoor section. When you apply Tru-Oil, it goes on easily with a clean rag. It wipes off easily as well, and the film finish coating is excellent. 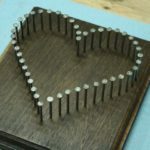 You don’t need any fancy equipment to apply the finish, and you can learn the entire process in an hour. After you are done, the look of your final project will amaze you. It will also make you happy that you did it yourself. After you use Tru-Oil, you will be hooked. It’s one thing to download this guide. It’s another to read it and start applying the techniques in your shop. If you only download it, you will never get the full benefit from the materials. The way to get better at anything is to take action, and put yourself in situations that you are not sure of. 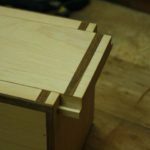 Since you are worried about applying a good looking finish, the best way to make yourself learn is to start doing it. As you practice, and apply more finishes, you will bet much better, much faster. All you need to do is make the time, and put in the work. When you do, you will be very happy to see that you progress much more quickly than you thought. Also, the next finish you decide to learn will progress even faster. That’s part of the beauty in wood finishing. Each product applies in a similar manner for the most part. Similar finishes go on in a similar way, so the next product you learn may not take long at all before you become an expert.